Arbor Lakes is a gated 55+ community in Hernando, Florida. Located along Tsala Apopka Lake, residents of this community enjoy easy access to the waterfront for fishing or boating. A clubhouse features a pool, tennis court, and shuffleboard courts, while a boardwalk offers views of the water. Homeowners enjoy a low-maintenance lifestyle thanks to a homeowners' association (HOA) that takes care of community maintenance and organizes activities. With numerous nature preserves and wildlife areas in Citrus County, residents of Arbor Lakes find a plethora of outdoor recreation right in their backyard. A clubhouse by the lake features a full kitchen and meeting rooms for activities. Residents can play a friendly game of billiards or work out in the exercise room. Outside, a BBQ area is available for cook-outs. An outdoor pool provides a place to swim while a patio and gazebo have comfortable seating to enjoy the fresh air. Four shuffleboard courts and a tennis court host games. A boardwalk and fishing pier along the lake show off Arbor Lakes’ natural beauty. Homeowners can access the lake through a boat ramp within the community and a storage lot is available for boats and motor homes. Most existing homes at Arbor Lakes were built between 1998 and 2006. Homesites are still available for new single-family homes, which range in size from from 1,138 to 3,104 square feet and feature two or three bedrooms, one to three bathrooms, and an attached two-car garage. Features in some homes include a spacious Florida room, gas fireplace, and breakfast bar. All residents of Arbor Lakes enjoy a low-maintenance lifestyle with an HOA that takes care of garbage pickup, road maintenance, street lights, and security while organizing activities at the clubhouse. Some residents pay an added fee for the additional benefits of lawn care and exterior painting every seven years. With fewer chores to tend to, homeowners have more freedom to play billiards, tennis, or shuffleboard with friends, take a fishing trip, or go for a swim at the pool. Arbor Lakes is conveniently located near restaurants, grocery stores, and shopping centers. 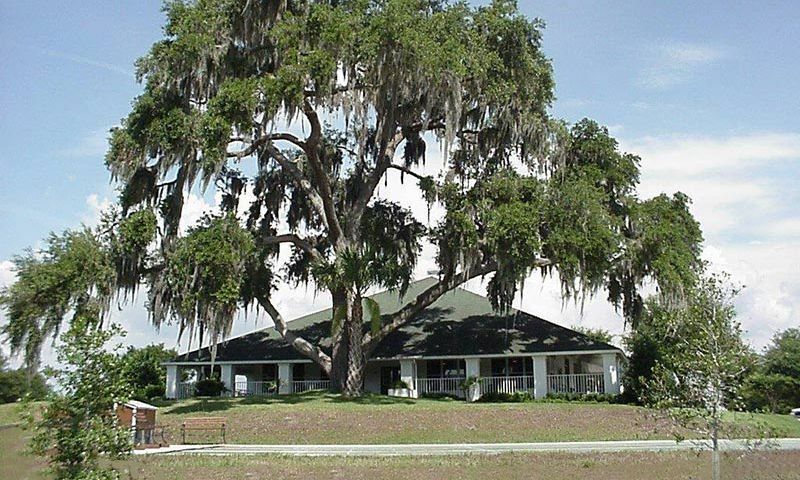 The larger city of Ocala is just a 40-minute drive away while the historic town of Inverness is only 15 minutes away. Residents of Arbor Lakes enjoy waterfront access to Tsala Apopka Lake, a 19,000-acre chain of lakes, swamps, and marshes. Arbor Lakes is also near the Hernando access point for the Withlacoochee State Trail, a paved walking and biking trail which runs alongside the Withlacoochee River for 46 miles. Golfers have several courses in the area to choose from, including Twisted Oaks Golf Course, Citrus Hills Golf & Country Club, and Van der Valk Golf Resort Inverness. Arbor Lakes in Hernando, FL offers wonderful amenities and opportunities for outdoor recreation for active adults in a secluded waterfront location. There are plenty of activities available in Arbor Lakes. Here is a sample of some of the clubs, activities and classes offered here. 55places.com is not affiliated with the developer(s) or homeowners association of Arbor Lakes. The information you submit is distributed to a 55places.com Partner Agent, who is a licensed real estate agent. The information regarding Arbor Lakes has not been verified or approved by the developer or homeowners association. Please verify all information prior to purchasing. 55places.com is not responsible for any errors regarding the information displayed on this website.